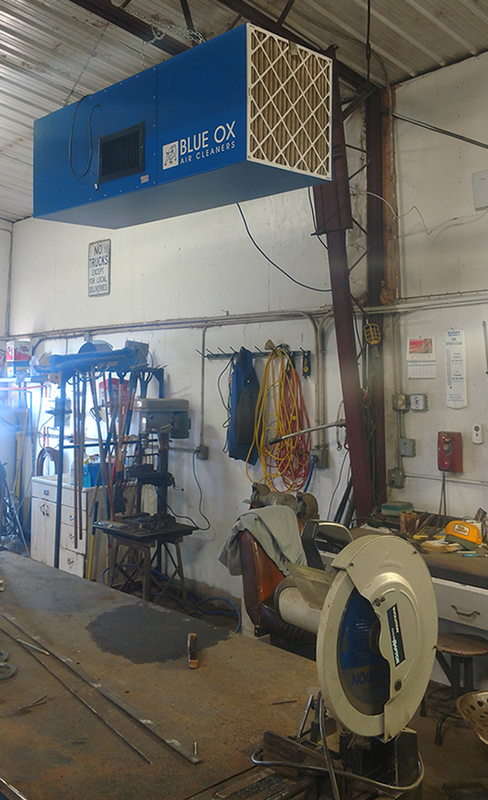 Summary: A small local welding shop was having an issue ventilating welding fumes from his shop. The fumes would get so bad at times that it would create a thick fog in the air. Prolonged exposure to welding fume may cause lung damage and various types of cancer, including lung, larynx and urinary tract. 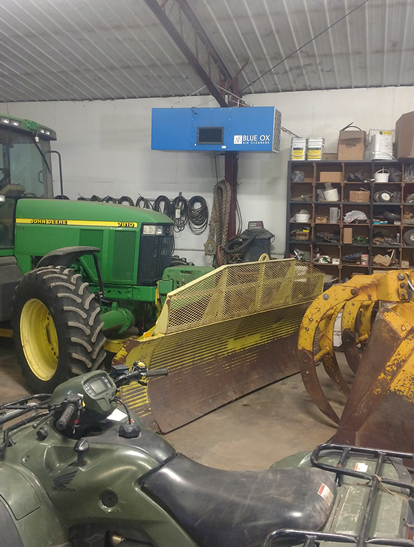 Challenge: The shop was crowded and small with equipment seemingly filling the shop. 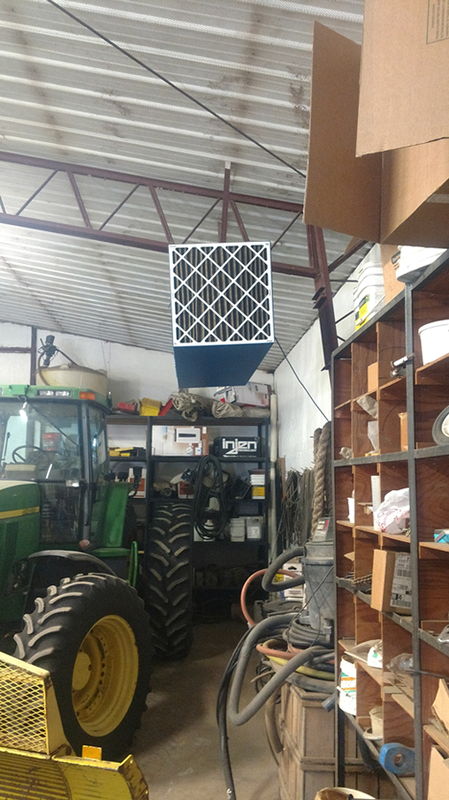 Solution: We installed one OX3000 over the main work area. 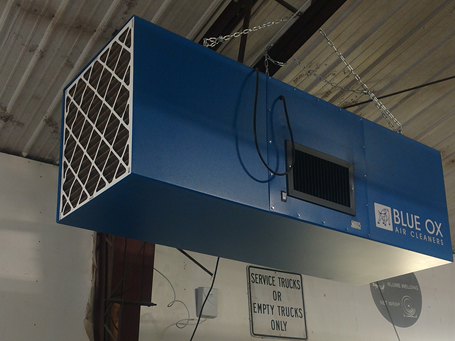 This has greatly reduced harmful welding fumes from the air and also has created air circulation through the work area.